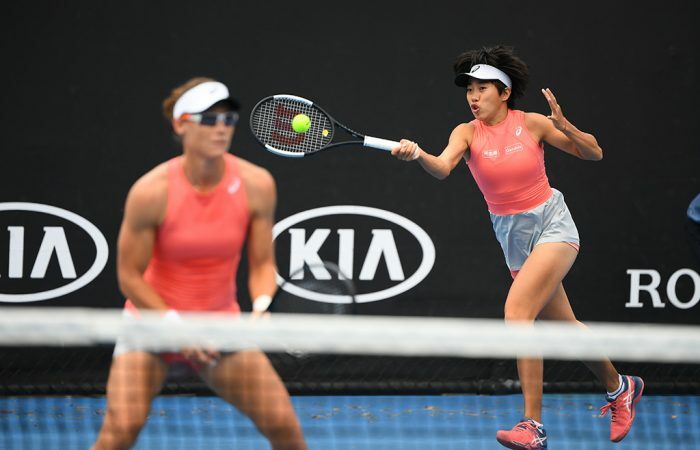 Sam Stosur and Zhang Shuai continue their exciting run in the Australian Open women's doubles draw, upsetting top seeds Barbora Krejcikova and Katerina Siniakova to reach the last four. 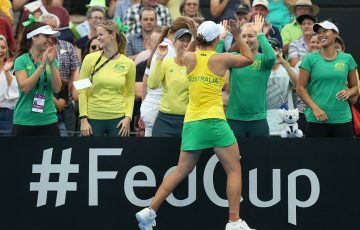 Sam Stosur is two wins away from her first Grand Slam women’s doubles title in 13 years after reaching the Australian Open women’s doubles semifinal on Thursday. Playing with China’s Zhang Shuai, the pair upset top seeds Barbora Krejcikova and Katerina Siniakova 7-6(2) 7-6(4). 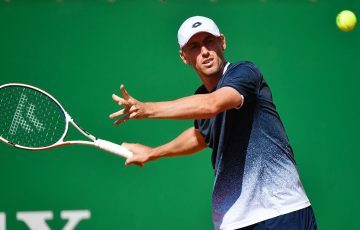 The Czech duo are the reigning French Open and Wimbledon champions. With a career high No.4 ranking in singles, winning the 2011 US Open title, Stosur has two major women’s doubles titles – the US Open in 2005 and Roland Garros in 2006, both with Lisa Raymond – but lost the only final she reached at Melbourne Park in 2006. Her last Grand Slam doubles crown came at Wimbledon in 2014, partnering Nenad Zimonjic in the mixed event. Stosur was also playing the mixed event at this year’s Australian Open, but later on Tuesday on the same court as her triumph with Zhang, she and Leander Paes fell 4-6 6-4 [10-8] to No.5 seed Anna-Lena Groenefeld and Robert Farah. Sam Stosur take a bow. 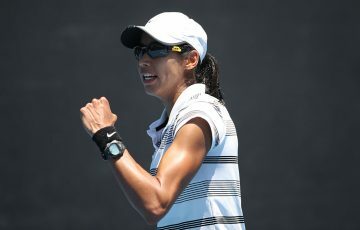 A first round casualty in the singles at Melbourne Park this year, Stosur also made the semifinals at the US Open last year last year with Zhang before losing to Timea Babos and Kristina Mladenovic. 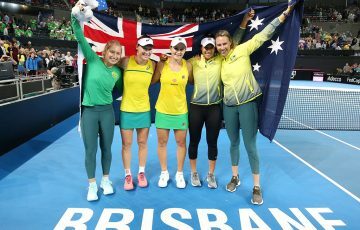 Babos and Mladenovic went on to lose to Australia’s Ash Barty and American CoCo Vandeweghe in a thrilling final. 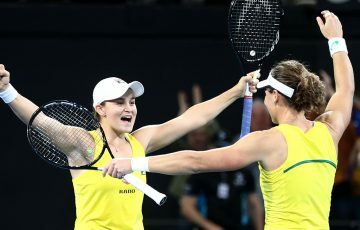 After beating the top seeded Czechs Krejckova and Siniakova, Stosur and Zhang will now play another all-Czech duo – Barbora Strycova and Marketa Vondrousova – for a place in the Australian Open final. Stosur and Zhang were in trouble, down 5-3 in the second set after Zhang lost her serve to love. However they managed to break straight back with both blasting winners off Siniakova’s serve to level at 5-5. Stosur saved two break points on her serve before Krejcikova pushed the set to a tiebreak. That was evenly poised at 4-4 before two big Stosur serves helped secure the win. “It’s just been fun. Shuai and I have played on and off for a number of years now, and we always enjoyed playing together and then I think something really clicked at the US Open,” Stosur said. “This year we were like, let’s do this, let’s do it properly. When we’re gonna play (doubles), we’ll do it together, and that was kind of the plan. “So it’s nice to be able to continue that form from New York now into here. “Today was a great match – everyone, I thought, played well. When we really needed to pick it up we were able to come up with the good, which was awesome.